A stand-alone follow-up to the acclaimed chapter books that began with New York Times Notable Book My Happy Life. What do you do if your best friend lives in another city and the adults can't keep their promises about when you'll see her? You have to sort it out for yourself! Dani's father is away and Dani is staying with her grandparents. When she remembers it's Ella's birthday, she thinks of the world's best gift for the world's best friend: she, Dani, will be the present! Grandma agrees- if she's brave enough to take the train alone. 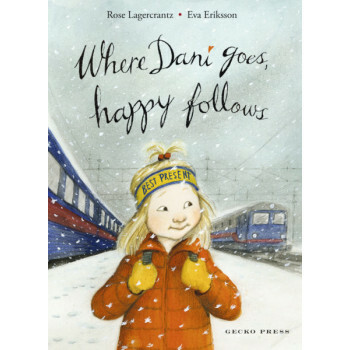 So Dani sets out on a journey all by herself.